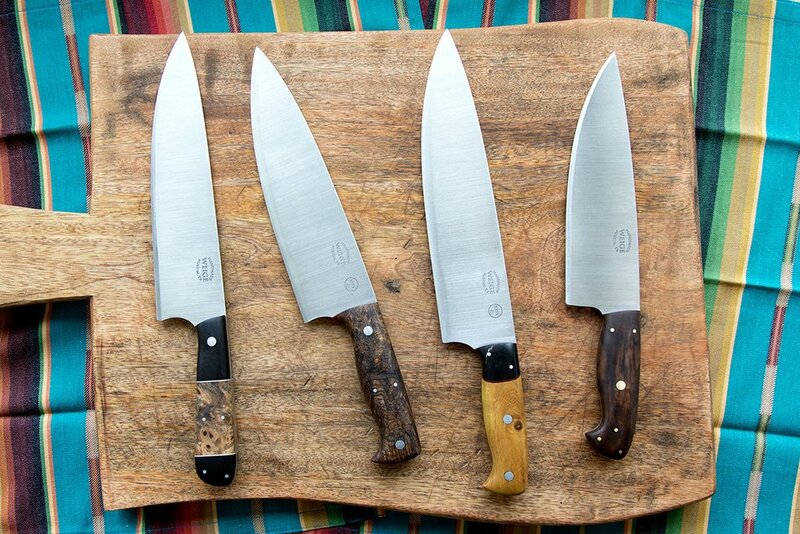 Home/Finished knives./Coffin handled chef knife. 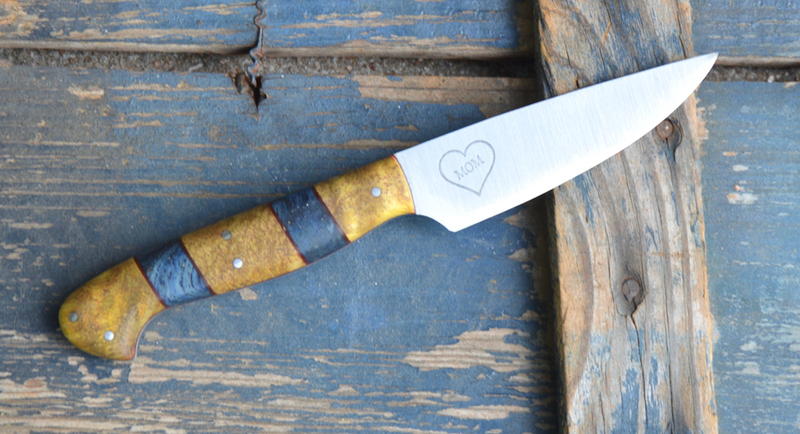 The coffin handle shape on a knife is about as old as it gets. 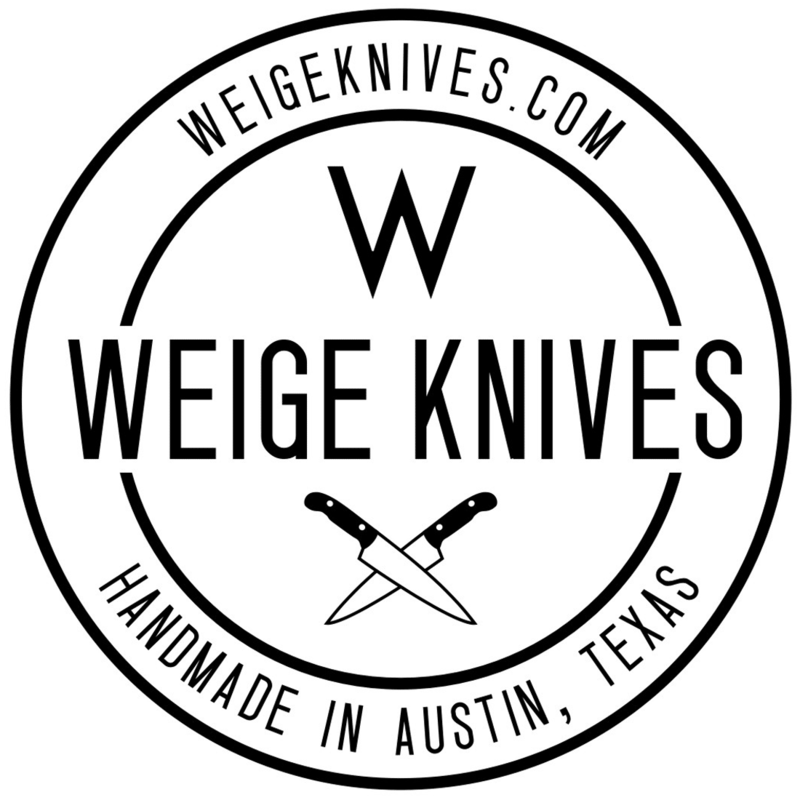 You’ll typically find the coffin handle or dog bone shape on Bowie knives and often “Arkansas Toothpicks”, which shouldn’t be confused as the same thing. 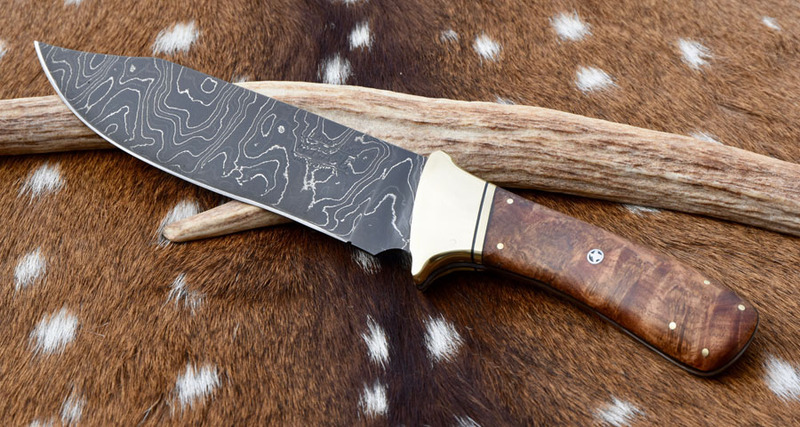 Because there are so many people making hunting knives we are often inspired the new and old styles produced. 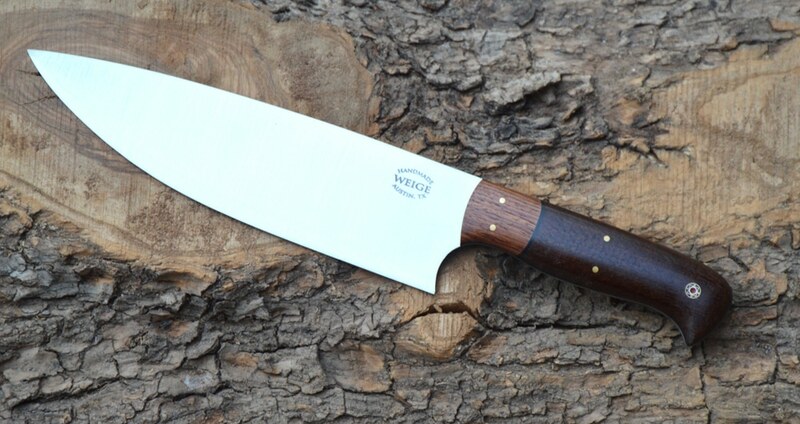 Dirk took a really old style handle idea and put it on a contemporary Japanese Nakiri knife. He even included a cross in copper pins which is also traditional. The wood is Hopea on the particular custom nakiri. It’s a very unique and complicated blend of styles.